Metal roofing offers plenty of benefits for businesses. It’s durable, cost-effective, and attractive, but did you know that it’s also an environmentally friendly material? Businesses today need to be aware of their carbon footprint because it’s something customers care about and it can impact their bottom line. If you’re considering a metal roof for your commercial building, here are some of the environmental benefits to be aware of. Metal provides extra insulation for the top level of any building, which is a common place for heat to escape. The more heat you trap in your building, the less power you need to use to run your HVAC system constantly, so your building’s carbon footprint may go down dramatically through the years. The actual production of metal roofing is also a relatively environmentally friendly process. It’s made mainly of recycled material. It’s also fully recyclable itself, so once your roof is past its usable life span, it can be turned into another type of usable metal material. This limits the number of new materials that are needed for production and the power needed for traditional manufacturing practices. 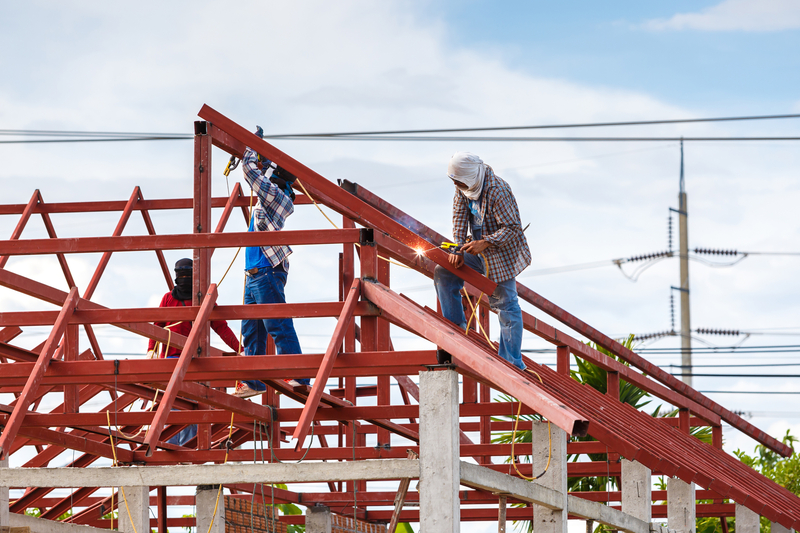 Metal roofs can last for 60 years or more. This isn’t just good for your bank account, but it also limits the need for the extra materials and power used in the replacement process. They don’t need much in the way of maintenance either, so the carbon footprint of adding a metal roof to your building remains fairly minimal through the years. If you’re interested in adding metal roofing to your commercial building, call the experts at South Central Roofing & Sheet Metal in Lebanon, KY. Since 1987, the commercial roofing contractor has been delivering reliable repair, installation, and replacement service to businesses throughout the area. Specializing in TPO roofing, EPDM, and metal roof overlays, the company will provide your building’s roof with a durable and strong material made to withstand the elements and protect your investment. View a full list of services on the company’s website or call (270) 692-6080 to speak with a company rep about your roofing needs. Other Announcements, Events and Deals from South Central Roofing & Sheet Metal, Inc.